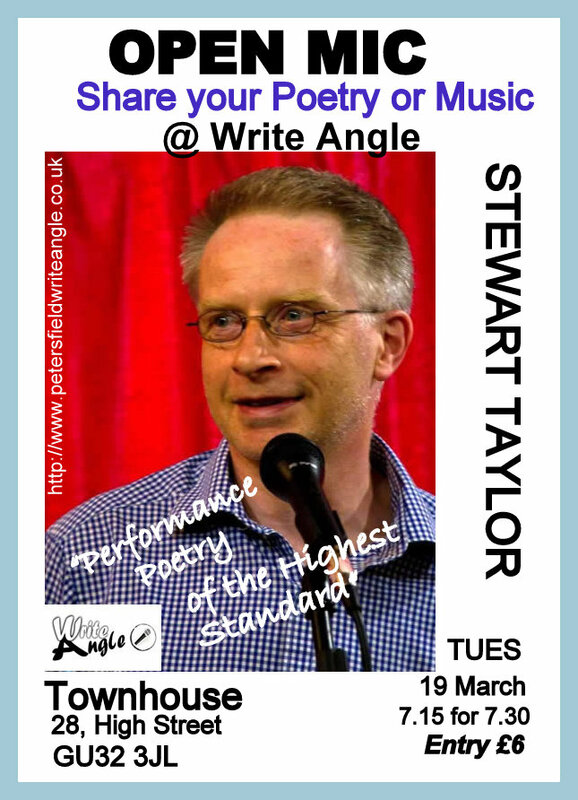 Stewart Taylor is a spoken word performer with a claim to the dubious title of Worst Poet in the UK, having won the national final of The Anti-Slam in the guise of J Arthur Prufrock in 2016. Outside of his alter ego, Stewart delivers an eclectic mix of poems from the personal to the communal, to the provocative and the just plain silly. He blends full-on rhyme rants with poems of still reflection. As well as winning a string of slams in Southampton and Bournemouth, Stewart also represented Oxford at the Hammer and Tongue National Slam Final in 2014. He is a regular player at Poetry on the Spot in Bournemouth and has been a featured or headline poet for Freeway Poets, Apples and Snakes’ 451, Solent Hammer & Tongue, The Front Room and Verbal Remedies. Stewart has also written and performed a solo show, Spillage, for Poole Museum and Arts Service.